One of the last undeveloped riverfront sites in Brisbane's city centre is being taken to market in an attempt to revitalise an historic section of the city's river. 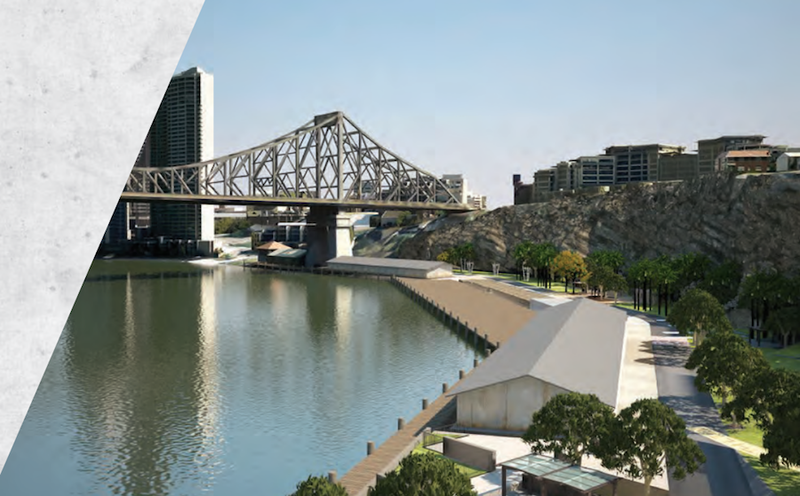 The 3.43 ha Howard Smith Wharves Revitalisation Project, located at 5 Boundary Street, Brisbane offers over half a kilometre of Brisbane River frontage to establish a significant mixed-use opportunity for commercial, hotel and retail development. Constructed in the 1930s and leased to the local shipping company Howard Smith and Co from the mid-1930s until the early 1960s, the site ultimately became known as the Howard Smith Wharf. The site has been vacant and under-utilised for more than 20 years. It is currently used by pedestrians and cyclists as a connection between New Farm and the CBD and has just benefited from the commencement of construction of a new $70 million Riverwalk Replacement Project on the eastern end of the wharves. Information Memorandum, Brisbane Lord Mayor Graham Quirk has a vision for the site to provide a world class urban space with "desirable" commercial activity that will bring life to the area. "I welcome proposals from investors for hotel, restaurant, retail or other developments which will revitalise the Howard Smith Wharves and improve the city’s business, convention and tourism potential" he said. There is currently a moratorium on Brisbane City Council infrastructure charges for four and five-star hotel developments in an attempt to encourage further development and stimulate economic and tourism activities. The site is being offered on behalf of Brisbane City Council. A Request for Proposal (RFP) process being managed by Robert Dunne and Pete Chappell of Savills (Qld) Pty Ltd.